Everyone loves free stuff, and it seems everyone loves the eeePC, so a free eeePC must be one of the best things ever, right? Orange seem to think so, as they’re offering customers a free eeePC if they sign up to their broadband package. But it does come with a certain amount of soul-selling. C’mon, did you really think otherwise? You’ll be tied into a two year contract, at 25 quid a month. For that, you get 3GB of data, 100 SMSs sent from the eee, and a free HSDPA modem. 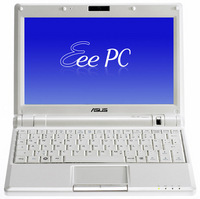 The eeePC 900 model offered has a 16GB hard drive and 1GB of RAM. But in two years time, who’s to say we’ll even use the same currency – we might be trading in space boots and moon cookies. The offer will be available from the 16th August, on the Orange website and in store.